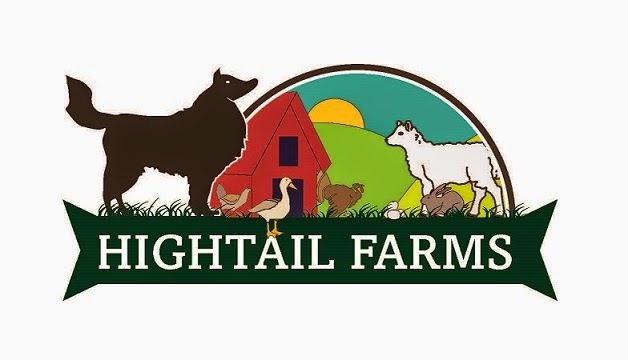 HighTail Farms: Baby goat, baby goat, goat, baby goats! Baby goats are here and life is all bottles and pee pads and adventures outside! The house is full of the sounds of little goat noises. These pictures were from the girl's first day in this world. They are by far the most active, healthy, and outgoing kids we have ever had here on the farm. This is very reassuring since their mother decided to mate with her own son to produce these little monsters. We have decided to name the smaller, more colorful girl Lucia after her father, Luciano, our sweet and dearly missed boy who passed away this April. We are calling the larger girl Francesca in keeping with the Italian opera signer theme, but she is so much larger than her sister that I often find myself calling her Brunhilda! Rialey is very protective of "her" new babies. Big Onion, who was home with them the first day, kept having to explain to her that knocking the babies down and cleaning them every five minutes was guardian/nanny dog overkill. Nobody likes a helicopter dog mom. We are totally enamored with these sweet little girls and have not yet decided whether they will be staying here on the farm long term. It's very hard not to get attached to something so cute and sweet, but right now we really don't need any more goats! As it is, the fridge is full to the seams with wonderful, sweet goat milk from Josie. For now, we are just enjoying the pitter-patter of little hooves in the house once again!